With Sixty London scoring Amazon as its sole occupier, Holborn and its office space in London to rent has become one of the most talked about areas of Central London over the last week. Whether your business is large or small, we show you how you can join Amazon and find office space in London to rent in this increasingly influential area. 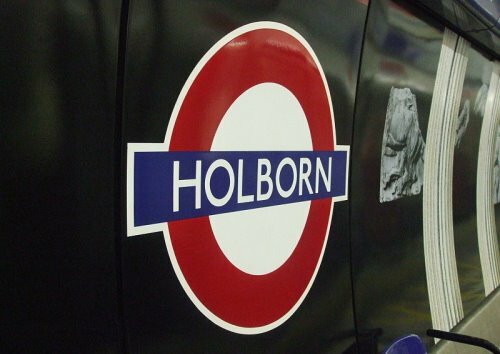 The heart of Holborn is home to a diverse mix of businesses, from legal to professional services, and creative companies. It’s a well-connected location within walking distance of the St Paul’s area of the City and Chancery Lane. If you want to be within easy strolling distance of Amazon’s new offices, then Holborn Viaduct is the place to be – and this impressive building offers the perfect office space in London to rent. 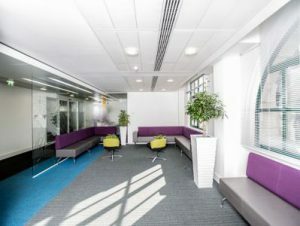 If contemporary buildings are more your style, these offices on Snow Hill just north of Holborn Viaduct offer sleek design and space which is furnished to an exceptionally high standard. Legal firm Irwin Mitchell, technology consultancy Capgemini and specialist energy supplier GDF Suez can all be found on Holborn Viaduct. A little further afield, and the area around High Holborn is home to a mix of legal, professional services and educational companies. 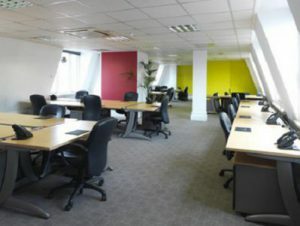 Office space in London to rent here is typically found in large, period buildings – but you’ll find plenty are equipped with ultra-modern interiors, such as these colourfully furnished offices on Kingsway or these sophisticated offices on Furnival Street. Exam board Edxcel and educational publishers Pearson can be found on High Holborn, as can the European and EMEA offices of Mitsubishi Corporation. Just north of Holborn, Farringdon has long been a popular location for publishing and media companies. While office space in London to rent here is typically smaller than in Holborn, it tends to be more trend-conscious – so expect interiors with plenty of quirky features and a serious fun factor. Take these super-trendy offices on Kirby Street, which feature transparent bubble chairs and a stylish roof terrace that’s just perfect for hosting a brainstorming session. Or this former warehouse just off the Farringdon Road – now colourful contemporary office space in London to rent. Publishers Datamonitor and Informa Business Information (IBI) are both on Farringdon Road, as is WPP research consultancy Kantar Operations. Another media/publishing location, but with the added charm of a Bloomsbury address. Like Farringdon, office space in London to rent here is typically smaller, but you’ll also find more period properties and a slightly more traditional approach. 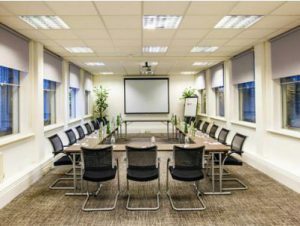 Take this Bloomsbury business centre: a beautiful period building which has a surprisingly sleek and contemporary interior. It’s a little more restrained than office space in London to rent in Farringdon – but ideal for businesses looking to put their own stamp on the space. The head office of Bloomsbury Publishing is on Bedford Square, while Sport England has offices on Bloomsbury Square and Bupa’s headquarters are on Bloomsbury Way. Ever-popular with the financial and professional services industries, the area around Fleet Street and Fetter Lane is where you’ll find larger business centres with office space in London to rent that’s ideal for medium to large companies. Expect smart, modern interiors focused on functionality, like these offices on Fleet Street which are complemented by large meeting room and conference facilities, or this business centre on Fetter Lane. Goldman Sachs on Fleet Street and legal firm Weil Gotshal and Manges on Fetter Lane. 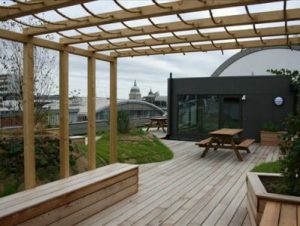 Want to see more serviced office space in London to rent? Browse our handpicked selection at LondonOffices.com or speak to one of our consultants today.